Scarlets back Jordan Williams will join Championship leaders Bristol on a two-year deal ahead of the 2016-17 season. The versatile 22-year-old has scored 81 points in 54 appearances with the Welsh region. "I'm excited to get started and to play at the brand new Ashton Gate," Williams told the club website. "Bristol Rugby have a great reputation," he continued. "I'd heard lots of positive things about the club before joining." 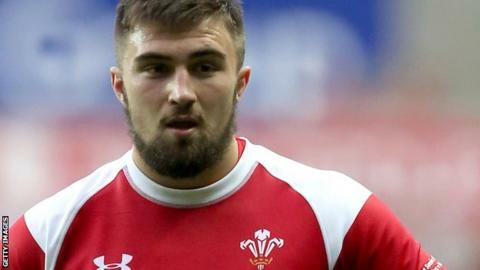 Williams was part of the Wales Under-20 side that reached the Junior World Championship final in 2013 and was selected to tour South Africa with the senior team in 2014. "Scarlets is a club that will always remain close to me," Williams added. "I'd like to thank the supporters, coaches and my team-mates for the support they have shown me."